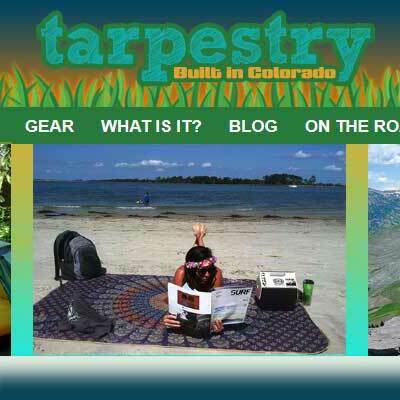 Tarpestry has many great outdoor products going for their new but fast growing company. 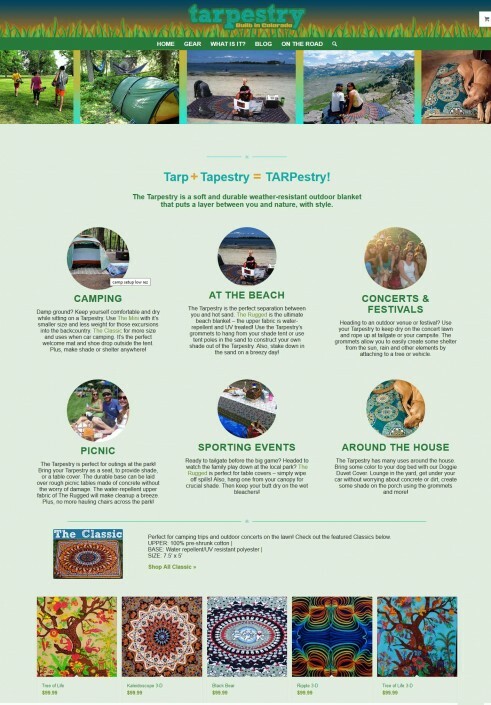 Tarpestry believe in creating products that will widen comfort zones by providing a buffer from the occasional unpleasantries in nature. 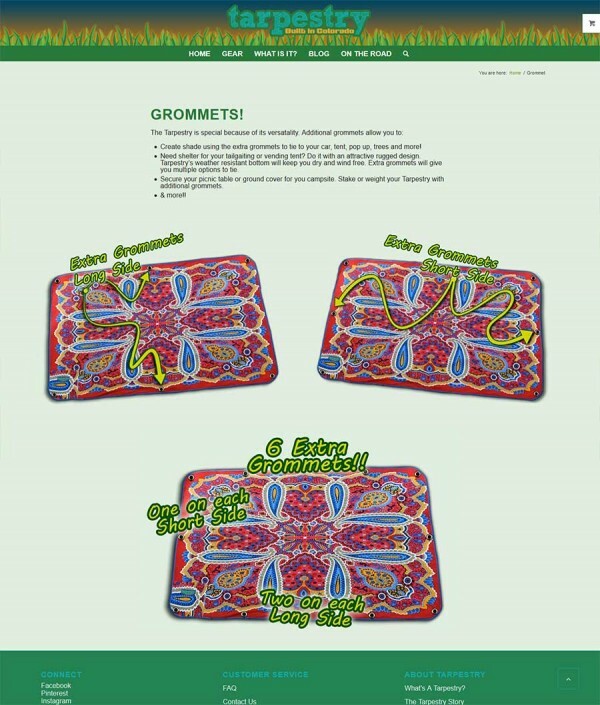 Fun, funky and most of all functional, Tarpestry supplies these protections so that all may enjoy the outdoors with ease. Alongside taking pleasure in the environment there have to be provisions to protect it. Tarpestry strives to maintain sustainable components in all aspects of business. Atomic6 created a quick and simple WordPress E-commerce solution. With just an idea and a few materials Tarpestry did not have a huge budget. Atomic6 was able to put together a aesthetically pleasing, functional solution that looks great on all devices and keeps the Tarpestry vibe.